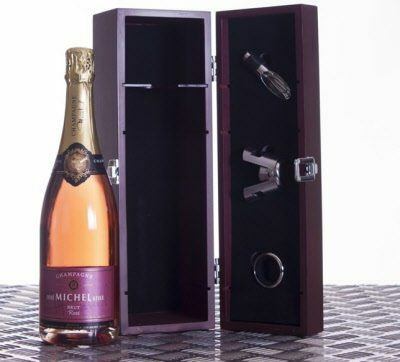 Jose Michel Champagne gift. In the heart of the Cote des Blancs, a small 21 hectare property producing some 180,000 bottles a year. Jose Michel and his son Bruno run it with the greatest of care. The Pinot Meunier provides freshness and fruit. The rare said to be "Oak plants" is wonderful.